' Yes, it IS the first Sunday of Advent, but in the United States it is also the Sunday after Thanksgiving and thus the end of the holiday weekend. Given that it would be possible to focus on the beginning of the new Christian Year by celebrating the year as a whole. Sing and read your way through the whole liturgical year. Light the Advent candles, but save really getting into Advent until everyone gets back next week. Go to Year C - Christ the King/ Reign of Christ Sunday for specific suggestions and resources. If it is a relaxed holiday weekend, invite children and other worshipers to help put them in place before the service begins. Before the Call to Worship point out and explain briefly each of the changes. Hint to additions as Advent progresses.
' The texts for the First Sunday of Advent are about watchful waiting. Because Advent is all about waiting and everyone is into waiting for Christmas, it is tempting to compare waiting for the Son of Man to waiting for Christmas. Be careful. First, these texts are not about waiting for a holiday. They are about cultivating an attitude of watchful waiting for God every day. Second, for children waiting for Christmas is mainly waiting for Santa Claus. Among young worshippers there are Santa true believers, Santa agnostics, and those who are “in” on it all. In a conversation on the steps with all the children a member of the third group is likely to make a loud declaration that will dismay the others and their parents. But more important than that potential brouhaha is the fact that as they discover the “reality” of Santa Claus, children inevitably question the “reality” of other such figures – like God and Jesus. There is no way to sort through that during public worship. But, we can be sure we don’t make figuring it out any harder by talking about God, Jesus and Santa as if they are similarly “real.” Finally, Santa is making a list of who’s naughty and nice. These texts encourage us to lead disciplined lives as we watch and wait for God. That is a very subtle but important difference. The first endorses works righteousness; the latter is… Well, I can’t get the difference into one simple phrase and that’s the problem. So be careful. 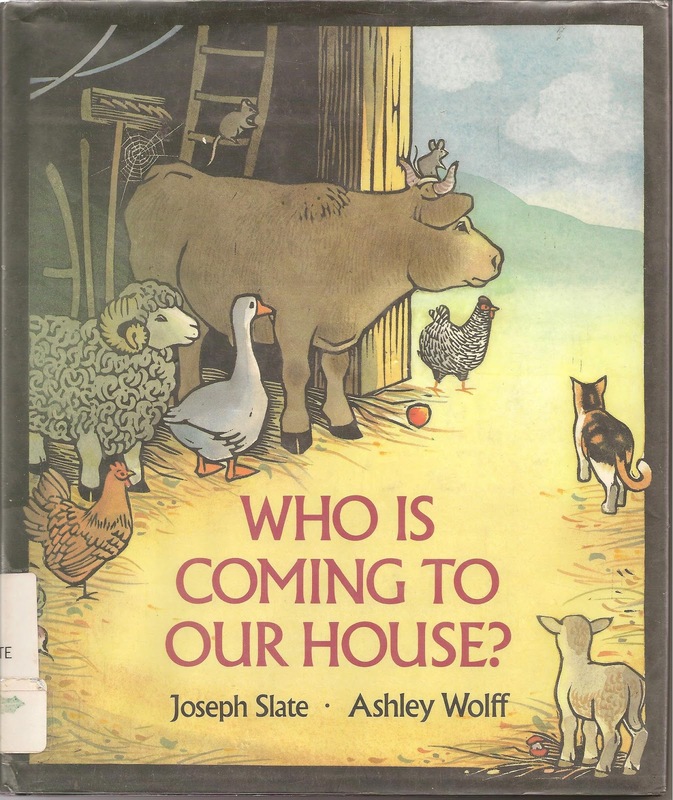 Who Is Coming To Our House?, by Joseph Slate, gets at the right kind of waiting by telling the story of the animals preparing the stable for the guest who is coming to their house. The story is very simple and reads in about 2 minutes, but makes more sense when listeners can see the wonderful art of the animals. So plan to project it or to show the pictures to children gathered around you. Leader: Wake up, you sleepy Christians! People: The night is gone. The day is here. Leader: Be ready because God is at work in the world. People: Let us worship and serve God together.
' 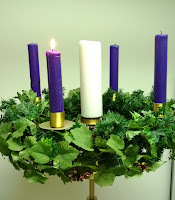 Often lighting the candles of the Advent Wreath is simply a way of counting down the Sundays until Christmas. It is the sanctuary version of an Advent calendar. To connect it to the advent call to join God at work in the world, compare lighting the candles to turning on the porch light or putting a candle in the window. They are ways of saying we are ready, you are welcome, come in. Often we turn these lights on while we are setting the table, sweeping the floor, and cooking dinner. Compare those preparations to working with God to bring God’s love into the world. Then, light the first candle of the wreath to say, “We are ready. God you are welcome here.” Read Matthew 24:44 - “Therefore you must be ready, for the Son of Man is coming at an unexpected moment.” If possible light the candle later in the service maybe as the affirmation of faith following the sermon. If it must be lit earlier, point to it and recall its meaning as you work through this discussion.
' Take the Advent candles to another level by encouraging worshipers to become Advent candles themselves. This week their job as a candle is simply to watch for times when they can add light, fun, love, kindness when they can see it is needed.
' “This Little Light of Mine” and “We Are Marching in the Light of God/ Siyahamba” become Advent hymns in this context.
' This Little Light of Mine, by E. B. Lewis, illustrates the hymn with pictures from the day of young African American boy. As you flip through the book point out all the ways the boy let’s his light shine and what a difference it makes in his world. Then challenge young worshippers to create their own book with pictures of themselves letting their light shine.
' O Come, O Come Emmanuel has a sound that fascinates children and is filled with words that are totally beyond them. To begin singing it with understanding they need to be introduced to only one word and then invited into the sound. The word is Emmanuel, God is With Us. It is both a nickname for Jesus who is God With Us and a reminder that God is indeed with us always. Before singing, briefly explain that to the children and everyone. To invite the children into the sound, point out the sad descriptions of all the problems in the verses and the happy sound of the refrain’s reminder that God is with always even when things look bad. 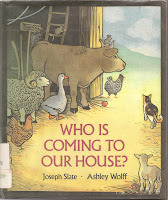 Encourage children who might have trouble with the words in the verses to sing the chorus. Even take time to rehearse the chorus with everyone. It would even be possible for the choir to sing the sad verses and the congregation to respond by singing the hope filled refrain.
' Let All Mortal Flesh Keep Silence is another song that is all about the feel of the music. The ideas are complex, but focus on the “more that we can understand,” goosebumpy beautiful fact that God came among us as a little baby.
' Watchman Tell Us of the Night is another song that is best understood when sung antiphonally by either a choir and the congregation or two halves of the congregation. In either case one group becomes the Traveler singing the first and third lines and the other group becomes the watchman singing the second and fourth lines.
' This text features the well-known prophecy about swords being turned into plows and spears into pruning hooks. For children that means two vaguely known items are being turned into two totally unfamiliar items. If we provide the details about the weapons and tools, they quickly grasp the message. 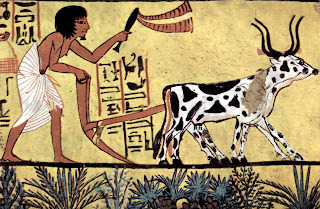 So take time to illustrate how swords can be made into plows and how a plow is used. Because the pruning hook used in gardens today is hard to visualize being made from a spear, and because one prop is enough anyway, skip the pruning hook. * If yours is an imaginative group, imagine together peaceful uses for modern weapons, e.g. think of cool things you could do if an aircraft carrier were turned into a cruise ship – take off from the short runway, land with a jolt on the hook, riding in helicopters, holding sports events and big dances. Send the children back to their seats to reform other weapons to peaceful uses. 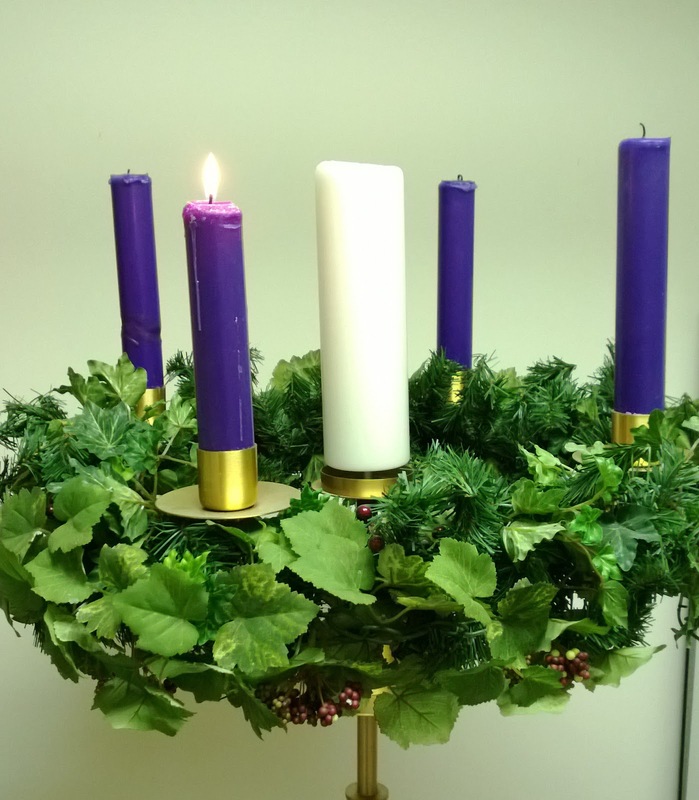 ADVENT WREATH WARNING: If you focus on this text, it is tempting to light the first candle of the Advent Wreath for peace. But the texts for the second Sunday almost demand that that Sunday be the Sunday for peace. Lighting today’s candle for watchful waiting – for peace among God’s other promises – is a better idea.
' Though it is the first Sunday of Advent, it is also the Sunday of Thanksgiving weekend in the USA. Children have been feasting on pilgrims, Indians and thanks for country. So, focus on vv. 6-9. Present it to the children as a prayer for Jerusalem by people who lived there. Together identify prayers for your town, state and nation. We want the same peace that the people in Jerusalem wanted. Children will be able to add prayers for people who are caught up in current problems or disasters, prayers for a variety of leaders, prayers for schools and other local institutions, etc. Either offer a prayer that incorporates what the children have said as you sit with them. Or, begin the congregation’s prayers with the prayers the children have identified. This is most effective if the congregation’s prayers immediately follow the time with children.
' If you plan to devote time to Paul’s list of sins to avoid, note that the last pair – fighting and jealousy – fit children. Avoiding fighting and jealousy during Advent is a worthy discipline. List examples such as fighting among siblings while traveling or when stuck home for the long holiday weekend. Point out how easy it is to get jealous and get the “I wants” as Christmas gets closer. Paul says we can be better than that. We are Jesus’ people. We can stop the fighting and work on not getting so greedy.
' Introduce Advent waiting on the first Sunday of Advent by getting out a set of nativity figures for use in the sanctuary. Set aside all the angels and the baby. Place the shepherds and some sheep in one area of the worship center, the traveling magi in another, and Mary and Joseph in separate areas. In the stable area place the empty manger and animals. As you do, talk about what each set of characters was probably doing. Then read Romans 13.11. Note that it is a message to each of those people waiting for Jesus to be born AND it is a message to us. We need to wake up and pay attention, too. God is at work all around us. FYI This year a shepherd might be turned into John the Baptist and set near the empty manger just for that day on the second Sunday of Advent. Mary moves to the manger on the third Sunday (if you read the Magnificat that week). Joseph (and Mary if you did not move her on the third Sunday) move on the fourth Sunday. The Shepherds move on Christmas Eve and the baby is placed in the manger. The wise men wait until Epiphany.
' Invite worshipers over the weeks of Advent to add a straw around manger for each good deed done. Provide a basket of pre-cut short straws on the floor near the table. People can bring their straws before or after worship or even during the offertory. The good deeds of watchful waiting become the setting for the crèche figures as they are moved to the manger at Christmas. 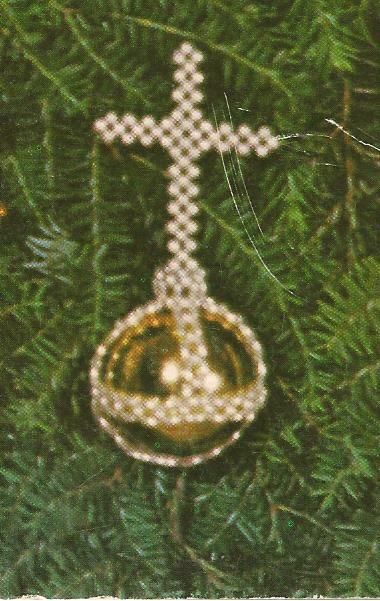 Unpack the Chrismon ornaments and display only the one that fits today – Christ over the world. Briefly introduce Chrismons and tell when the tree will appear. Explain today’s ornament pointing out that it says what Matthew says in today’s text. God/Christ is the biggest power in the world and rules over the world always. God rules over the world way before Christmas and will rule over the world forever. Hang it on a small hook in front of deep blue or purple Adventy fabric in a prominent place at the front of the sanctuary until time for it to go on the tree.